Signature Series is the ideal independent journey, featuring each destination's must-see highlights and ready to reserve with one phone call. 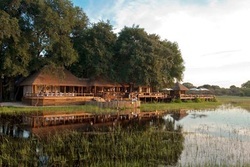 Explore the Okavango Delta on exciting game drives and bush walks, take a photographic safari river cruise, see Victoria Falls and stay in beautiful accommodations that include a luxury tree house. Take advantage of the opportunity to sleep in a bed under the stars on your private deck in the Okavango Delta. See Africa from an elephant's perspective during a special interaction with semi-habituated African elephants. Embark on a photographic safari cruise on the Chobe River. 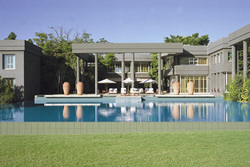 Experience guided tours of both the Zambian and Zimbabwean sides of Victoria Falls. Enhance the impact of your stay by visiting a local village school and clinic supported by A&K Philanthropy. On arrival in Johannesburg, an A&K representative transfers you to the exclusive Saxon Boutique Hotel and Spa located in the tranquil suburb of Sandhurst. Enjoy the rest of your day at leisure. Fly to Maun and connect with a flight to Sanctuary Baines’ Camp. At Baines’ Camp, five luxurious suites feature four-poster beds that are fully mobile and can be moved out onto a private deck for the opportunity to sleep under star-laden skies. Activities range from year-round mokoro (dugout canoe) rides and night game drives to bush walks, each providing countless wildlife viewing options. You may also interact with a group of semi-habituated African elephants at an A&K Philanthropy-sponsored project, followed by a shaded picnic overlooking a lagoon. 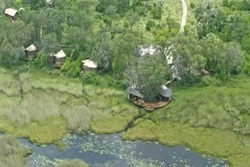 Board a flight to Sanctuary Chief’s Camp, set deep in the Mombo Concession of the Moremi Game Reserve. Known as the “predator capital” of Botswana, it offers some of the finest game viewing in the region. Embark on exciting game drives where you may see the lions, cheetahs and the nocturnal leopard, as well as ostriches, antelope, wildebeests and kudu, along with bathing hippos and crocodiles silently patrolling the waters. 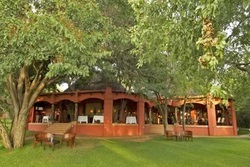 Fly northeast to Chobe National Park to your exquisite lodge above the Chobe River. 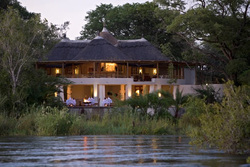 Take in the scenery from spectacular outdoor viewing patios, where you may glimpse Chobe elephants. The park is home to one of the largest concentration of elephants in Africa — a staggering 120,000. Enjoy a swim in the split-level pool, book a Vichy shower treatment at the spa or grab a book from the library. Your game drives may reveal lions, hippos, crocodiles, warthogs and possibly a colony of carmine bee-eaters. Board a motorized boat for a water safari, keeping an eye out for hippos, buffalo, antelope, waterbucks and lions. Later, embark on a photographic safari cruise aboard a boat with 360-degree swivel seats. 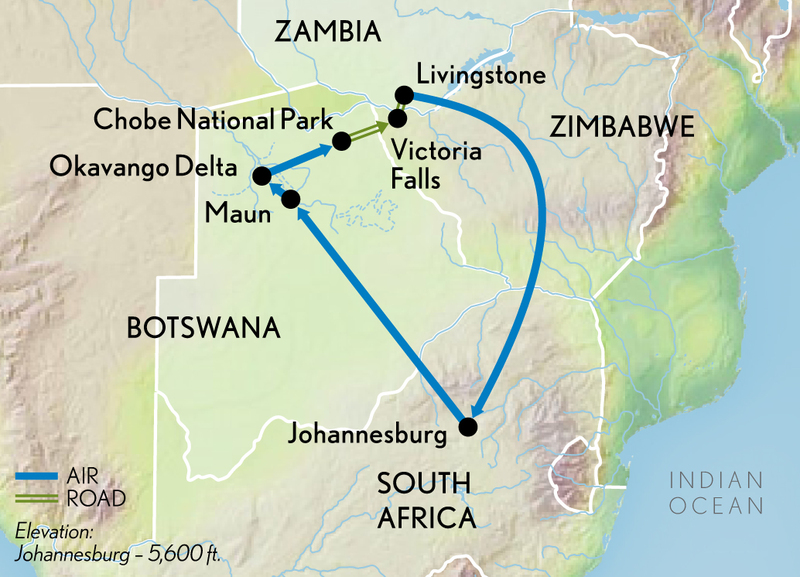 Drive across the Zimbabwe border to visit awe-inspiring Victoria Falls, the roar of the mighty Zambezi yielding up to 120 million gallons of water per minute as it plunges into the gorge. Continue to your accommodations at Sanctuary Sussi & Chuma in Zambia, where you stay in a luxury tree house built into the living canopy that lines the bank. As twilight sets in, take a sunset cruise while sipping traditional cocktails. You also may choose to visit a local village and provide support for the community’s school and clinic, both operating with assistance from A&K Philanthropy. Fly to Johannesburg to connect with your international flight. The Premier Lounge is offered to you, compliments of A&K, as a place to relax before your homebound flight.